Math fluency is important for all students because it makes advancing into higher levels of math much easier. Mastering this doesn't have to be a huge challenge, in fact, it can actually be fun. Use these simple tricks and games to help your child sharpen their mental math skills. Memorizing gets a bad rap in education because we're better off learning the process needed to get to a solution. However, memorization is sometimes ok. For example, your child will fare much better in math class if they're able to memorize their multiplication tables. Memorizing these basic building blocks will make it easier to get answers to simple problems within more complicated problems. 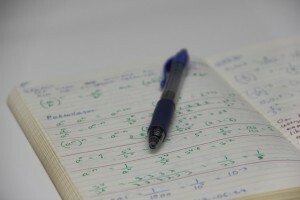 Other items they can also focus on memorizing include simple division as well as squares and square roots. Breaking down a problem with large numbers can make it much easier to solve. For example, if your child is trying to solve 5x8, they can easily turn the 5 into a 10 by multiplying it by 2 and then dividing the final answer by 2. Multiplying by 10 is always easier because you just add a 0 to the number being multiplied by 10. Dividing by 2 is usually quite easy as well because it's a small, even number. In this case, your child would end up with 80/2 which is much easier to solve than the original problem. Math can be tricky for just about anyone, but luckily, tutoring in Oro Valley can help make it easier. Learn all about the tutoring classes offered at The Tutoring Center, Oro Valley AZ and choose the academic program that best suits your child's needs. Give their learning center a call at (520)-219-4112 to learn more.